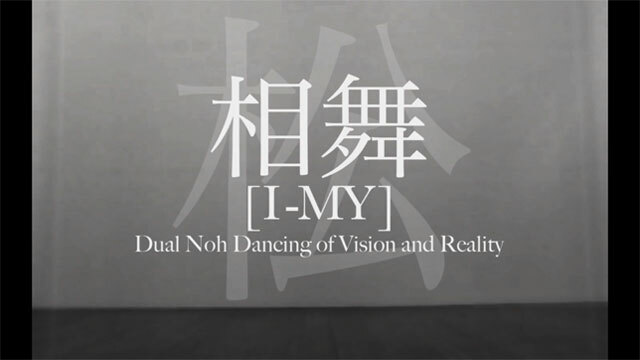 Media Performance Noh [I-MY] The project started in 2014. 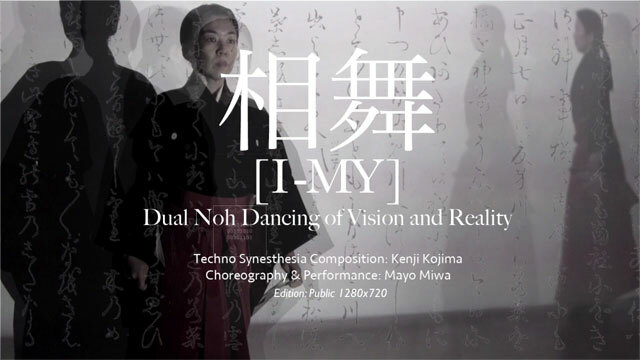 PLAY 相舞 [I-MY] / study06 / 08:03 / 2015 / Original video by Mayo Miwa. 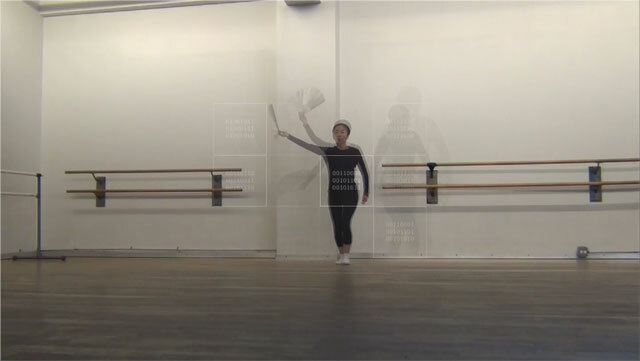 PLAY 相舞 [I-MY] / study05 / 08:35 / 2015 / Original video by Mayo Miwa. 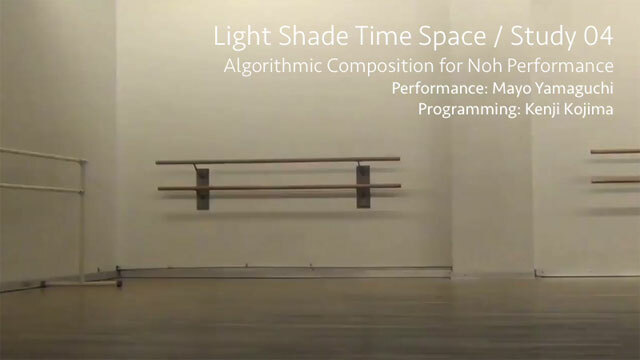 PLAY Light Shade Time Space / study04 / 06:20 / 2015 / Original video by Mayo Miwa. 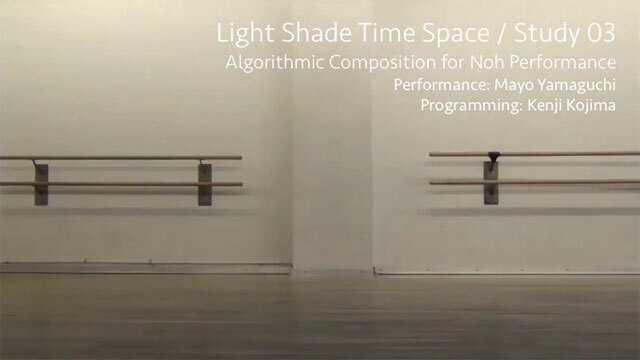 PLAY Light Shade Time Space / study03 / 04:48 / 2015 / Original video by Mayo Miwa. 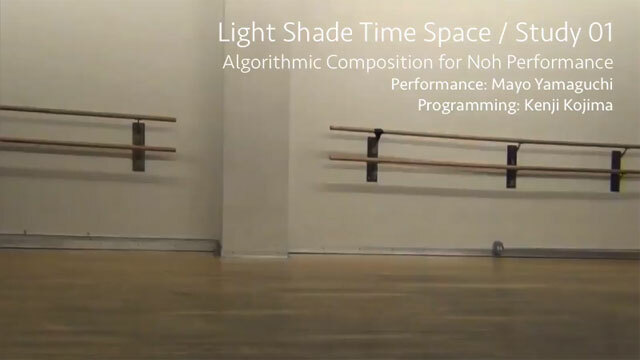 PLAY Light Shade Time Space / study01 / 05:36 / 2015 / Original video by Mayo Miwa. Two identical characters, a woman possessed by a spirit and the spirit herself. 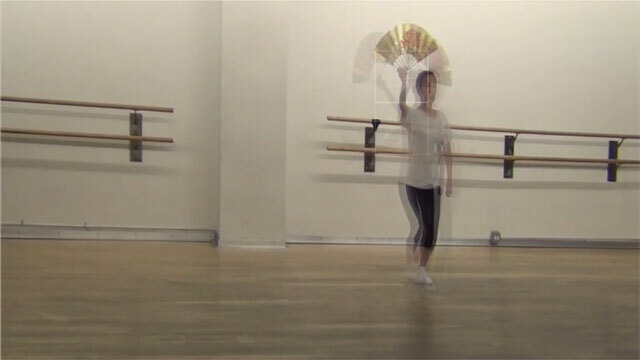 Two dancers, actually one dancer, “I” and “MY” synchronously dance with the music accompanied by performer’s movement. The performer does not only perform the dance but creates the music by her motions. 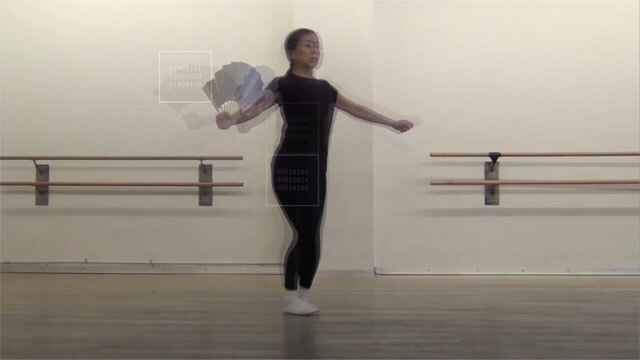 Kenji Kojima's program converts a music from digital data on the changing light and shade that are captured from performer’s movement by the computer algorithm. 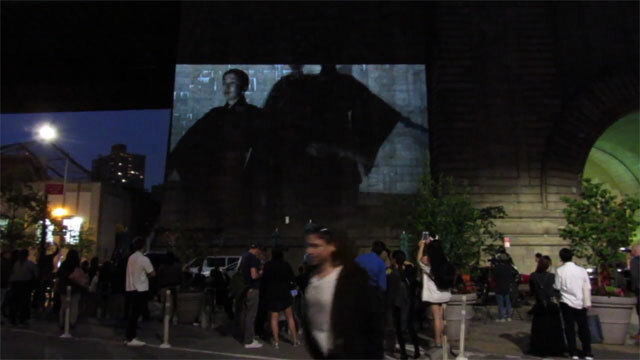 The back screening plays an algorithmic music and dubbed a vocal that is already created from the video. 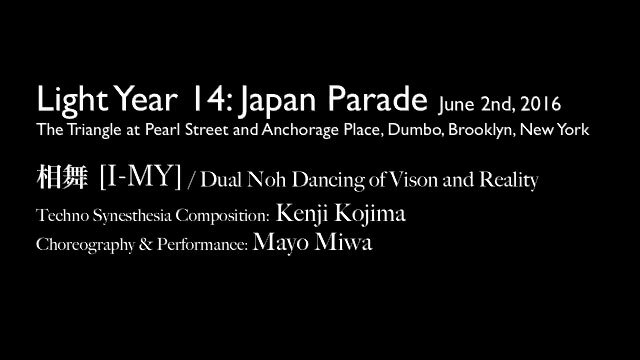 The final performance is added a live music from the whole stage through a video-cam by Kojima’s software. 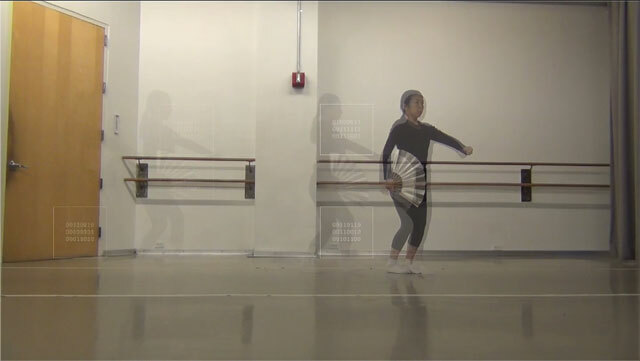 The dance technique is based on the Japanese Noh theater. [I-MY] means dual dancing in Japanese. Noh is a classical Japanese masked drama with dance and music that has been performed since the 14th century. The Noh expression is very slow and quiet. Emotions are conveyed by stylized gestures and sounds of instruments. The gestures and music have a strong sense of unity. 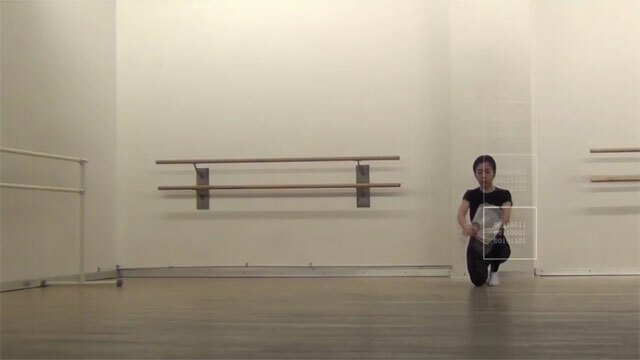 This performance explores a strong sense of unity of gestures and music by the performer. 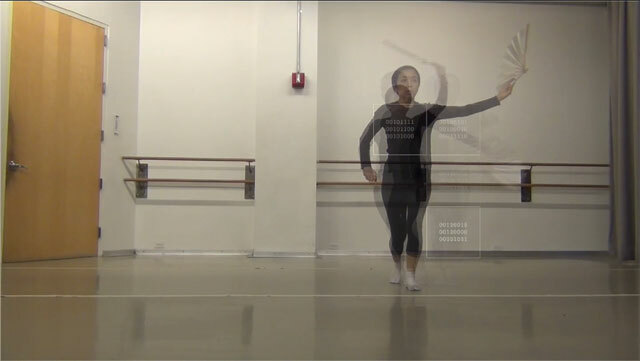 Technical Statement: Two dancers who are vision and reality dance synchronously with the recorded vocal. The music of the performance is created by the performer's motion. 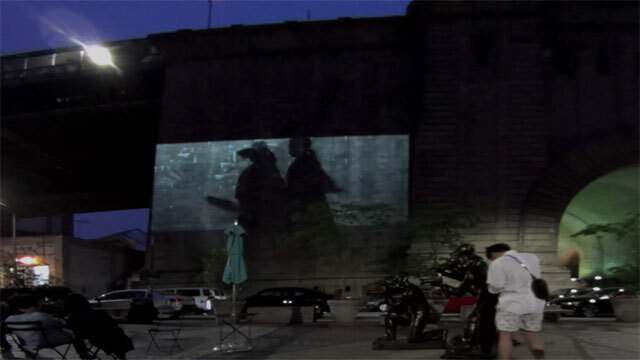 The back screening video and a live music (using live video-cam) are composed of digital data by the computer algorithm. 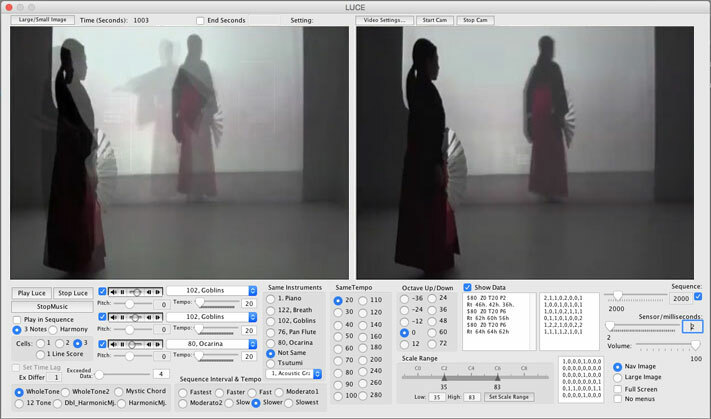 The computer program captures the data from 84 divided grids of video images. 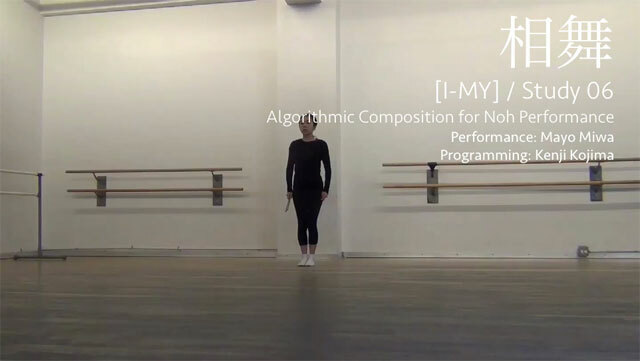 The program compares the differences of the brightness of grids, and chooses appropriated data by the algorithm, then converts them to musical notes, and plays the notes by MIDI musical instruments. 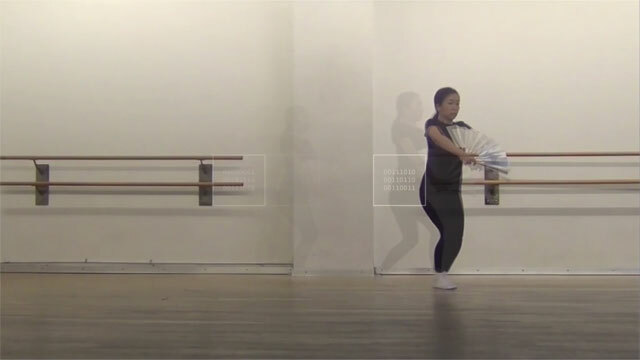 The screening video shows binaries in white squares that indicate the positions of the data of musical source. 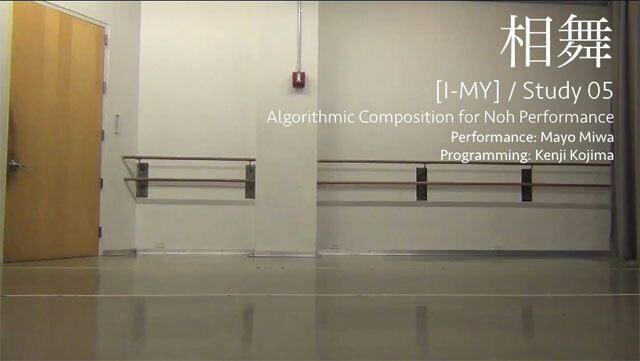 Kenji Kojima developed two algorithmic composition applications for a back screening and a live performance (the bottom of this page). 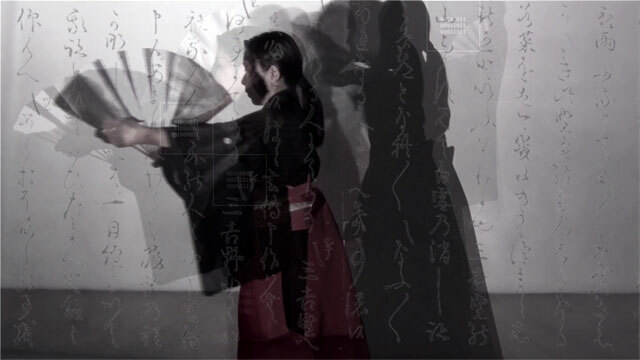 Cultural Statement: The dance technique and the plot are based on the classical Japanese Noh theater. Most of all Noh dramas are ghost stories. A man, a woman or other creatures died whom the spirit is still hanging around in this world, appears and tells his/her sad and regrettable story to a traveling Buddhist monk or a passenger of the land. 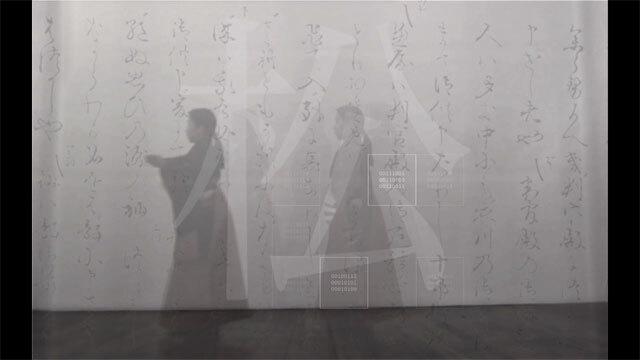 The [I-MY] was adapted from Noh drama "Futari Shizuka" that was a village woman was possessed by the spirit of "Shizuka" who was a dancer and a lady of the tragic warrior "Yoshitsune". 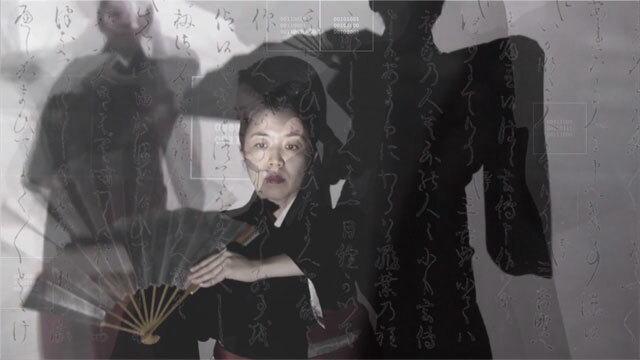 Performance: Mayo Miwa is a Japanese actress of the classical mask theatre called “Noh”. Noh is a theatrical art form from the 14th century that has been handed down for 650 years and one of the oldest performing arts in Japan. She began lessons in Noh at the age of 14 and has been performing Noh since 1992 when she entered Tokyo University of the Arts, where she majored in Noh theater. For five years she intensively trained at Kanze School of Noh under the tutelage of their leading actor, performing as a member of the Kanze troop at Noh Theater in Tokyo and touring to local cities. 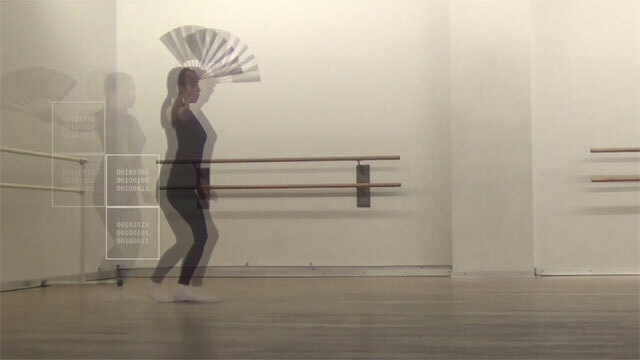 Since moving to NYC in 2004 Miwa has been collaborating with artists from different media, such as composer Ryuichi Sakamoto, singer-songwriter Miho Hatori, funk bassist Albey Balgochian and artist Kenji Kojima, to develop the art of Noh in contemporary forms. Miwa is a member of the Noh Society U.S., facilitating educational programs by Noh actors from Japan. Media & Programming: Kenji Kojima is a media artist. He has been experimenting with the relationships between perception and cognition, technology, music and visual art since early 90’s. He was born in Japan, studied Kita school of Noh singing and dancing when he was adolescence. He moved to New York City in 1980. He painted egg tempera paintings that were medieval art materials and techniques for the first 10 years. His paintings were collected by Citibank, Hess Oil, and others. A personal computer was improved rapidly during the 80's. He switches his artwork to digital. 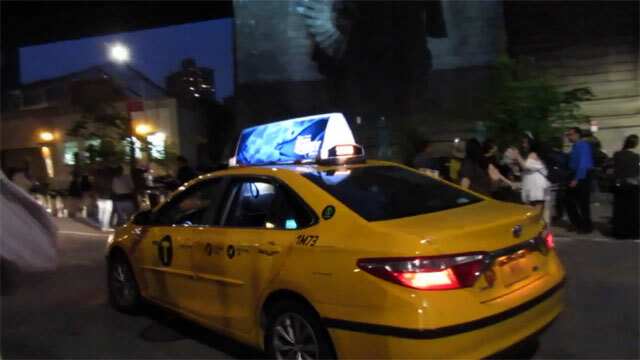 His early digital works were archived in the New Museum - Rhizome, New York. 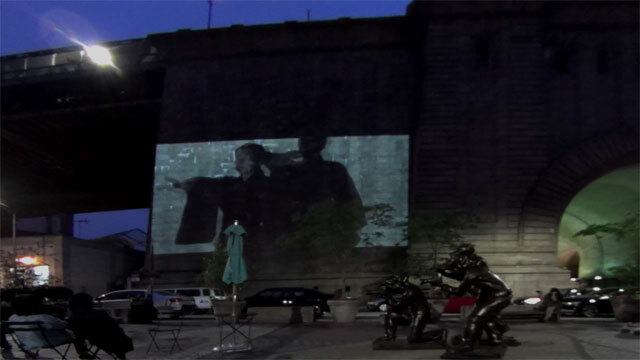 He created RGB Music series, an interdisciplinary work exploring the relation between images and music. 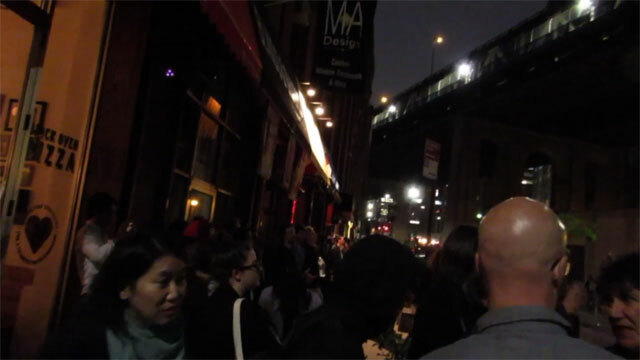 His digital art series has exhibited in New York, media art festivals worldwide, including Europe, Brazil, and the online exhibitions by ACM SIGGRAPH and FILE. Luce I-MY for Live Performance. It distills a music through a videocam.